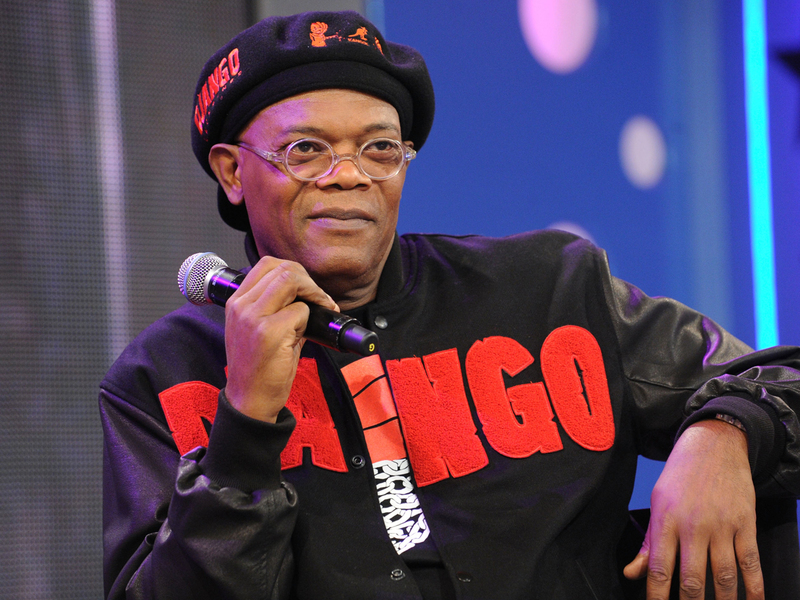 Samuel L. Jackson turned the tables on a reporter during a recent interview to promote "Django Unchained." While discussing the Quentin Tarantino film, a Western set in the pre-Civil War South, the actor refused to discuss the its use of the "n-word" -- unless the interviewer said the word aloud first. Jackson stopped him right there, challenging him to say the word in question. "We're not going to have this conversation unless you say it," he said. Hamilton, a white man, refused. When he asked Jackson if he would say it, the actor responded, "No, [expletive] no! It's not the same thing." Hamilton gave up and moved on to the next topic, but not before saying that it was a "great question." "It wasn't a great question if you can't say the word," Jackson told him. You can watch the interview here (the n-word conversation begins at the 13:54 minute mark). "Django Unchained," which opened on Christmas Day, has grossed $77.8 million in North America, according to The Hollywood Reporter. The film's subject matter and language apparently hasn't dampened interest in the film -- THR reports that the film is doing strong business among African-American moviegoers.